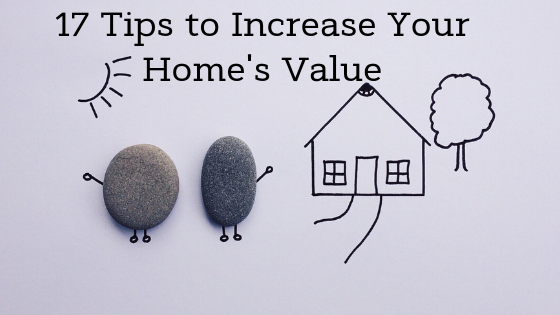 There are tons of tips one should know when attempting to raise the value of their home. If you are in that category, then this list is one you'll want to be like Santa with and check twice. 17. Neighborhood elitism: One of the most important tips to remember is to keep in mind the neighborhood your house is in. If you raise the value of your property outside of what is commonly shared with your neighbors, potential buyers may find your home a rather unappealing prospect. 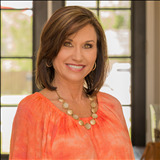 Those wishing to purchase top dollar homes generally want top dollar neighborhoods and neighbors to accompany their buy. If you keep your property within 15% to 20% of your neighbors, you'll be in great shape. While this is important for everyone to know, those lacking funds for a remodel should pay extra close attention to every possible detail of their home. 16. Adding a jacuzzi? Make sure to have four jets in that hot tub, at the very least. The more jets, the better, within reason of course. Make this a permanent hot tub and you'll increase your value again, and put that next to an in-ground pool and you'll really see the price increase. 15. Are you selling? If you aren't, then you should know that doing alterations to your house, especially major ones, may cause your tax bill to go up as well. 14. An above ground pool or garden pond will do very little, if nothing at all, to increase the value of your property. 13. The little things: Sometimes in life, it's the little things we truly appreciate. Having a well manicured yard, for example, can influence the bids you will receive from potential buyers. Make sure your gutters are clean, and that your yard, drive-way, and really the entire property are as immaculate as humanly possible. 12. Sprinkler systems don't just help keep your lawn green, they assist in increasing the value of one's home. 11. A two or more car garage will see an increased bid from buyers, as will a completed workshop or work space separate from the main building. 10. Keep yourself, your family, your possessions, and your comfort knowing your house will increase in value safe with a security system. 9. For you D.Y.I. people out there, do NOT go cheap on materials. 8. Also for you do it yourselfers, remember to be honest with yourself about your abilities. You may be able to accomplish a lot, but if you need help on a particular job, consult and/or hire a professional. My advice steers towards hire more than consult. 7. Don't remodel your kitchen for $35,000 if you live in a $100,000 house, unless you plan on living there for a while and want to spoil yourself with a dream kitchen. 6. Keep your design changes mainstream and neutral. Any overly flashy add-ons may scare off some buyers, as people are generally attracted to more subtle design choices. 5. Although, keep your design choices consistent. Don't add rustic aspects to an art deco inspired property, etc. etc. 4. Some improvements may actually decrease your tax bill, such as a swimming pool, a garage, a porch or deck, a fence, a drive-way, a new room, any built-in appliances, heating and cooling systems, a new roof, landscaping, insulation and possibly more may qualify you for a lower rate; talk to your taxman or woman before acting! 3. Speaking of landscaping, beautiful gardens and lawns often have an estimation of 100% to 200% recovery rate. 2. Don't turn a bedroom into a bathroom, as bedrooms are a bigger selling point to potential buyers than bathrooms are. 1. Neighborhood elitism: One of the most important tips to remember is to keep in mind the neighborhood your house is in. If you raise the value of your property outside of what is commonly shared with your neighbors, potential buyers may find your home a rather unappealing prospect. Those wishing to purchase top dollar homes generally want top dollar neighborhoods and neighbors to accompany their buy. If you keep your property within 15% to 20% of your neighbors, you'll be in great shape. While this is important for everyone to know, those lacking funds for a remodel should pay extra close attention to every possible detail of their home. Follow these tips, and the process of improving your home should go much, much smoother.